﻿ Ohio Star Theater - Ohio. Find It Here. Brand new, 500-seat state-of-the-art theater opened April 2017. 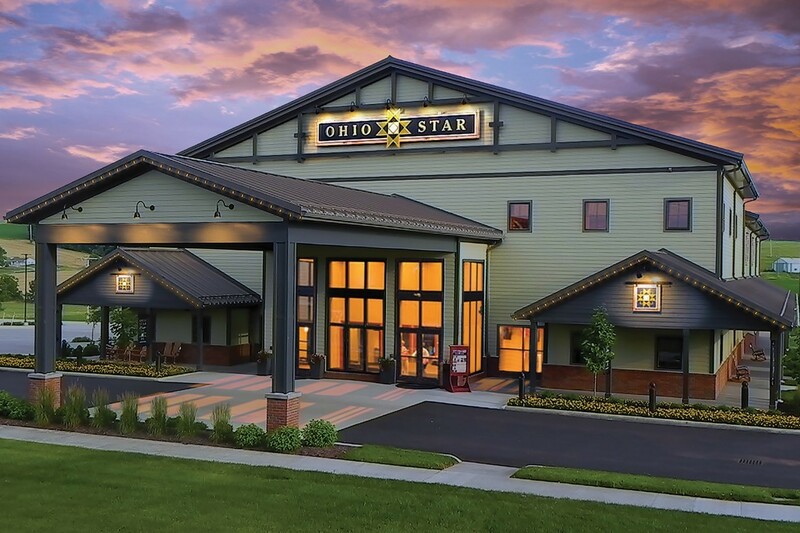 Whether you are enjoying a concert featuring on of your favorite artists, or a Broadway-caliber musical, Ohio Star Theater is the place to let your heart sing and your spirit soar. Located on the Dutch Valley Restaurant campus and next to Carlisle Inn Sugarcreek, Dutch Valley Gifts, and Dutch Valley Market, with ample free parking, this is a place to enjoy a day or an overnight getaway. Other activities on the campus include a playground and carriage rides. Ohio Star Theater has concerts and musicals from January to December. Check their schedule at www.ohiostartheater.com then come to Amish Country for a delightful surprise -- professional entertainment in a place you didn't expect. Handicap accessible. Free parking. Free Wi-Fi. Next to restaurant, gift shop, market, and inn.